This is one of my go-to post-swim breakfast smoothies that gets its awesome coniferous color from spirulina, a blue-green algae that I’ve been enjoying in my smoothies lately. Spirulina is touted for its high concentration of plant-based B12 and protein, making it a pretty cool supplement for vegans and vegetarians. Now, this could all be in my head, but I actually feel better for it – this spirulina smoothie after a swim seems to give me enough oomph to power through til lunch (including a pre-lunch CrossFit session as is my routine these days). How does spirulina taste? Let’s be honest here: it’s an algae so it tastes a bit like seaweed and takes some getting used to. I’ve actually grown to like its flavor. 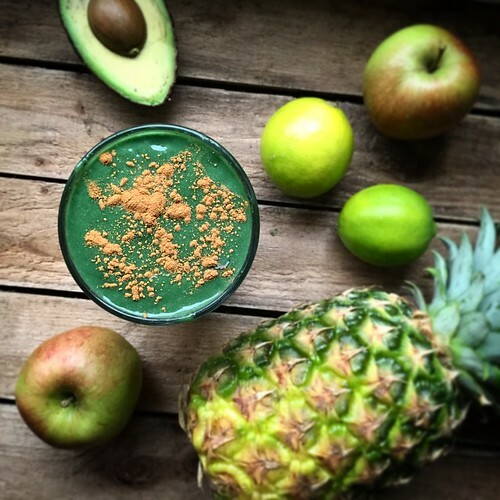 Plus, this spirulina smoothie has a lot more stuff going for it: pineapple, lime, avocado… serve it in a salt-rimmed glass, garnish it with some flaked coconut and make an event of it. This spirulina smoothie features prominently in the 7-Day Juice Feast. It’s made by juicing pineapple, apple, cucumber and lime then blending it with avocado and spirulina. 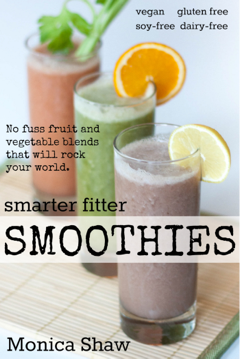 Yep, you need a juicer and a blender for this one. But as the song says: it takes two to make a thing go right. 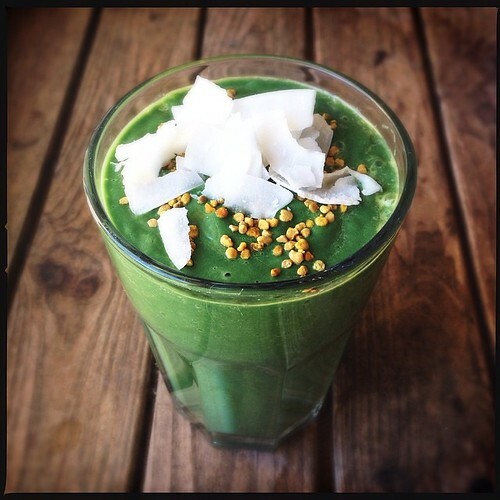 And this spirulina smoothie is so so right. I’ve been using an Optimum 9400 blender and Optimum 600 Slow Juicer to get the job done and I can’t recommend them enough. Juice the pineapple, apple, lime and spirulina. Blend the juice with the avocado, spirulina and psyllium husk until silky smooth.